EMF will pay $12 million for KPRI which has flipped to the Christian AC “K-Love” network. Original Report 9/28: Compass Radio of San Diego has announced the sale of AAA 102.1 KPRI Encinitas/San Diego, CA to Educational Media Foundation for an undisclosed amount. EMF will begin operating KPRI under a Time Brokerage Agreement later today with the sale expected to close in January 2016. 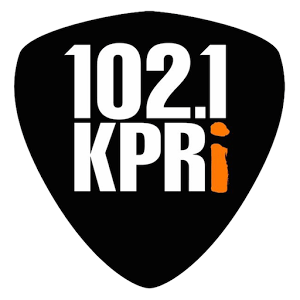 San Diego, independent rock station 102.1 KPRI owned by Compass Radio of San Diego, Inc announces the sale of the station’s assets to Educational Media Foundation (EMF) headquartered in Sacramento. EMF operates radio networks specializing in adult contemporary Christian music. The transaction requires FCC approval and is expected to close in mid-January. EMF will begin programming KPRI on Monday September 28, 2015. Media Venture Partners (MVP), a San Francisco, CA based investment banking firm advised Compass in this transaction. Oh, this is great! Another commercial radio station being bought out by a public entity? Looks like the end of commercial radio as we know it. Of course, nothing bad to say about K-Love and Air 1 programming, which I like listening to. The writing was on the wall for some time. I hope the air staff will find better opportunities after the sale. They should also give the listeners a final send off as well. I have to hand it to EMF, they have a remarkable ability to make major-market acquisitions without word leaking out ahead of time. And say what you will about the rules that allow a commercial station to be shifted to non-comm status, but EMF is playing the game about as well as anyone in 2015. KPRI is still streaming online as of right now on kprifm.com — enjoy it now before it disappears for good. EMF’s goal must be to buy every radio station in the country and convert ’em all to K-Love or Air-1! 1. K-LOVE on 102.1. Full market signal. 2. Move Air 1 to 102.1 and either sell or sign off the translators or switch them to K-LOVE. I’m leading toward option 1. Air-1 is currently on 96.1 KYDO (the former KSIQ), which includes a booster. K-Love is further away (but still within San Diego Co.), on 100.1 KLVJ. There’s not much overlap, so I could see EMF not spinning off anything. However, I think I’ve seen something that suggests that Univision’s rights to the name “K-Love” (for L.A.’s KLVE) might extend at least somewhat into San Diego Co. I looked into the trademark thing a while back and I do not believe the USPTO had anything listed for San Diego County as far as Univision goes. I expect 102.1 to go to Air1 though considering the closeness and the large amount of travel between San Diego and the Los Angeles and Riverside-San Bernardino markets. There are significant marketing and mindshare opportunities with them being aligned under the same brand. Looks like I was wrong. K-Love it is. What are the odds of converting at non-comm to a commercial FM? Does that ever happen? It’s been done elsewhere. Family Stations converted 94.7 Newark NJ/New York City from non-com to commercial before selling that facility to Cumulus Media. The changeover may have taken place a couple of hours ago, but I’m not certain. The final song listed on the KPRI website is These Are Days, at just before 3:30 p.m. (local time)–although one of the staff says that the final song was Dylan’s Forever Young. David, this is not correct at all. K-Love does very well in most markets, even when they compete with a local incumbent. I would be very very surprised if K-Love does not perform substantially better than KPRI in the 6+ (which was a 1.5 share last month). I would expect K-Love on a strong signal like 102.1 to do a 2.5 or better within 12 months. AAA in most markets is a lot more niche than CCM.